4k00:05BANGKOK - SEPTEMBER 8: Timelapse of Central Bangkok at Ratchaprasong Road.Traffic in rush hour at night., Thailand, on September 8, 2014. 4k00:13The flow of the cars in the night city. Smooth blurred motion. Timelapse shot. 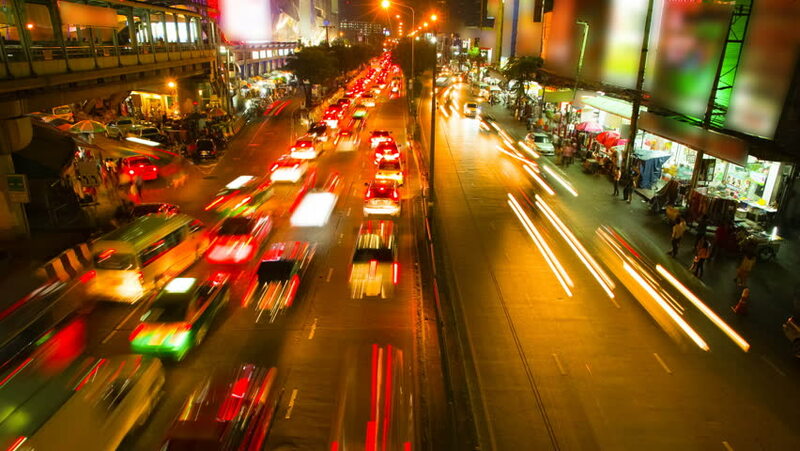 4k00:08BANGKOK - SEPTEMBER 8: Timelapse of Central Bangkok at Ratchaprasong Road.Traffic in rush hour at night., Thailand, on September 8, 2014. 4k00:06Bangkok, Thailand-October 13, 20157: China town in Bangkok. People bustling around the area. Traffic is on the road. Yaowarat Road (China Town) is famous for street food and lively environment.